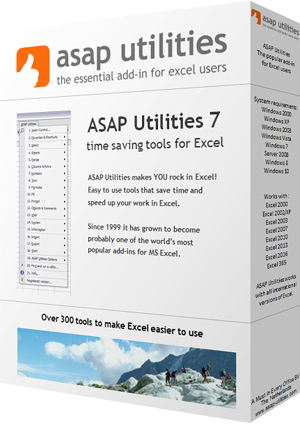 To upgrade to a newer version of ASAP Utilities, just install a new copy of ASAP Utilities right over your old one. Do not uninstall ASAP Utilities before installing the new version, because uninstalling will also remove your personal ASAP Utilities settings and license key. Licensed users have been provided with a special download link. The installation is an easy step-by-step process that speaks for itself. If you want view it, we have created a step-by-step tutorial for the installation with screenshots and this information is also described in the User Guide in chapter 3. Go to the version history of ASAP Utilities to view all new features, updates, and fixes.